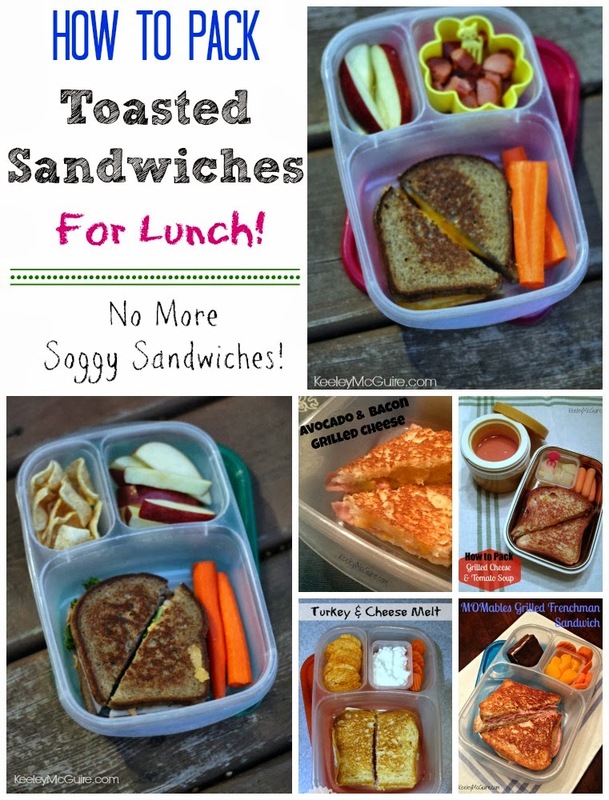 Toasted sandwiches (like a grilled cheese, turkey melt, or grilled frenchman) are the best for lunch! But... they can often get soggy when packed up in your lunchbox by the time you or your kiddo gets to eat it. Bleh! No one wants a soggy sandwich. So, how do you keep the sandwich from getting soggy? I'll tell you! Little Miss has a grilled cheese sandwich on Silver Hills gluten free, Vegan Chia Chia Bread. In case you're wondering their facility is also completely nut free! Packed along side are carrot sticks, apple slices, and a diced up hot dog in a silicone cup. I have the same gluten free, Vegan Chia Chia bread, but my toasted sandwich keeps dairy free by using Daiya non-dairy cheese shreds, turkey, kale, & a tiny bit of honey mustard. Hello yumminess! 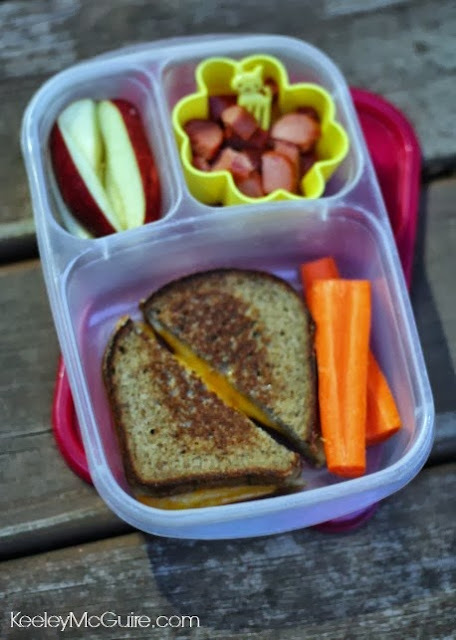 I, too, have packed carrot sticks, apple slices, and my other side are Enjoy Life Foods Plentils chips. So, how do I know that these delicious sammies won't be soggy at lunch time? Did you know this information was already on the blog! "Lunch Tips" reminders are always great, so here you go! 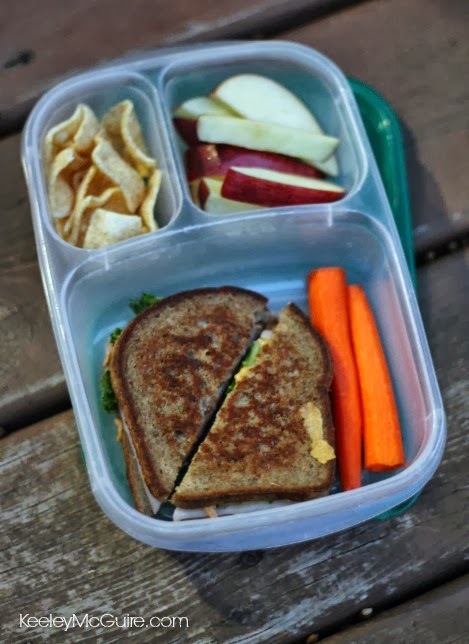 Check out this post HERE to find out how to keep your sandwiches from getting soggy AND how to properly pack soups for lunch too!